I married my wife, Cathy, in 1989. In 1991, we adopted More…Michael (then 8 years old) and Patrick (then 4 years old) from Romania -- right after the fall of the communist government there. We were just planning to adopt one, but they were brothers, and we didn't want to separate them. After they arrived, our life got much more interesting. Four months after we had submitted the application for adoption, we picked the boys up at Kennedy Airport -- May 19, 1991. It didn’t take them long to find a way to amuse themselves. I took them into the bathroom, and they started running from urinal to urinal, flushing them and splashing in the water. Their laughter had the ring of pure joy. America was truly a land filled with wonder and magic! When I had taken Romanian language lessons, I had learned how to say, “Eu te eubesc" ["I love you"]” and “Eu sint tata tua" ["I am your father”], but I hadn’t learned how to say one of the most important things a parent can say to a child. During their first week in our home, Cathy rented a video for the boys to watch. The video was a somewhat obscure Disney movie named Johnny Shiloh. It was the story of a young boy who became a Union soldier during the Civil War, based on a true story. It didn't take Michael or Patrick any time at all to learn how to run the VCR. Within minutes Michael was an expert with the remote control. Patrick was content to watch. At the start of the movie, Johnny ran away from home and joined the Union army. He was a drummer boy whose bravery turned the tide at the battle of Shiloh, resulting in his promotion. While he was working as a dispatcher, a group of Confederate soldiers captured him. The next day they were going to send him to a prison camp. As the children watched the movie, Cathy and I watched the children. Back to the movie. The Confederates were keeping Johnny in a tent. After everyone else was asleep, he slipped out of the tent, stole a horse, and rode away. Michael leaped to his feet and shouted, “Bravo! Escapa Johnny!" Later, we found out that two of their other siblings had also made it to the United States. By amazing coincidence, their little sister was in Miami -- only about 45 miles away from us. Their little brother was in northern New Mexico -- the small town of Arroyo Hondo. They all got to see each other as they grew up, and now they keep in touch through Facebook. Shortly after arriving in the United States, we took the boys to Disney World. A few weeks later, Michael had been having some behavior problems in day care, and we wanted to find out how he was feeling, so we took them to a child psychologist. By then I knew how to say, “Dece nu fost cuminte in scoala? Tu fost dbrosnik!” [“Why weren’t you good in school? You were rude!”] Even so, I was not near fluent, so we also took a translator. The psychologist talked to both boys, but focused on Michael. The psychologist looked at us for help. “What boat, Mike”, I asked. He was talking about the Pirates of the Caribbean ride at Disney World. The psychologist continued with his questions. After Michael said that, all the adults in the room were quiet. I'm sure everyone was thinking the same thing I was. How much we take for granted and how big our problems seem, but how trivial they were in comparison to what these boys had been through. God bless America. You eat every day. Most recently, I've started working on a couple of books. 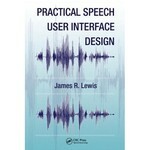 Practical Speech User Interface Design just came out December 15, 2010 (see picture below), and I'm working with Jeff Sauro (from Oracle -- see www.measuringusability.com) on Practical Statistics for User Research (probably out some time in 2012). 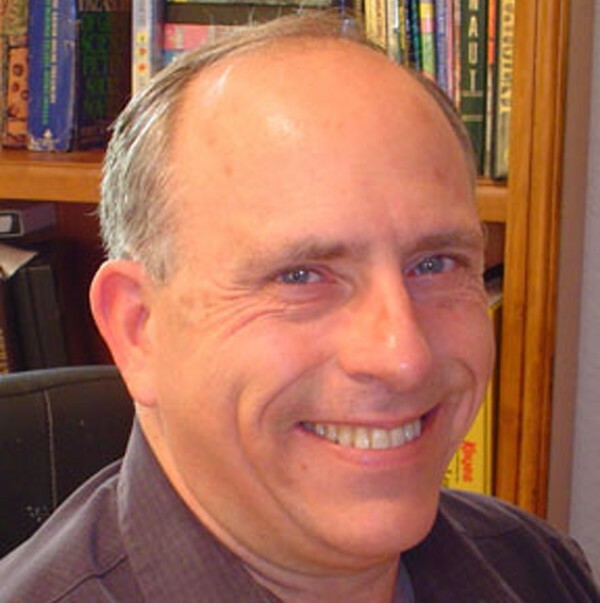 I remember taking part in an inter-mural FORTRAN programming competition, along with several of my closest friends from high school (Pat Steele, Jack Sprague, Randy Huddleston). They did great, but no matter what I did, I couldn't get any of my programs to run, so I just went downstairs and played pinball, and decided that whatever I did with my life, it would have nothing to do with computers. James Lewis has a birthday today. James Lewis joined via Class Connection Facebook app.